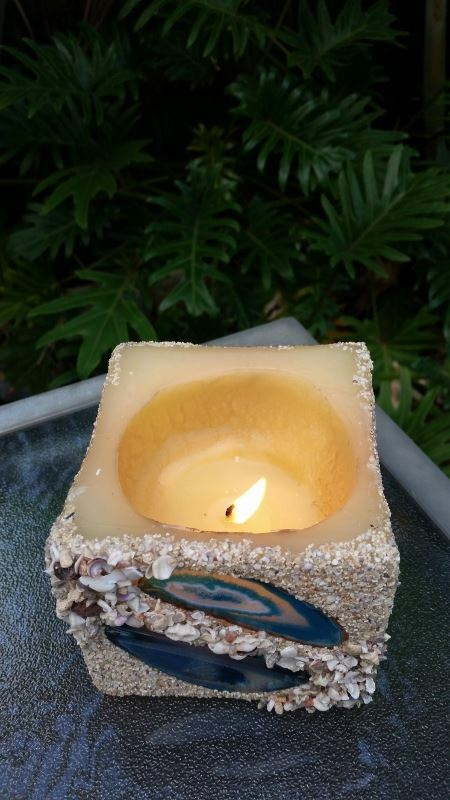 Candles that hollow out as they burn and turn into reusable tea-light holders. 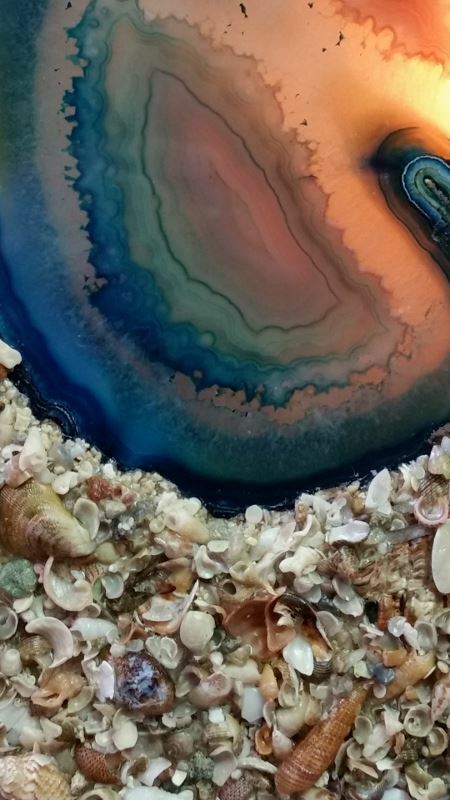 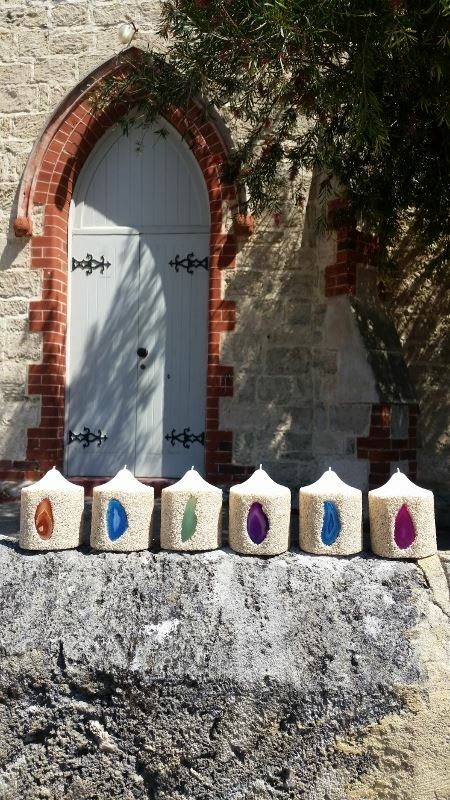 With colours and textures inspired by the turquoise waters and fiery sunsets of our stunning West Australian beaches, and individually hand-crafted by a local artist, these candles glow from within as the flame dances behind the translucent agate stone window. 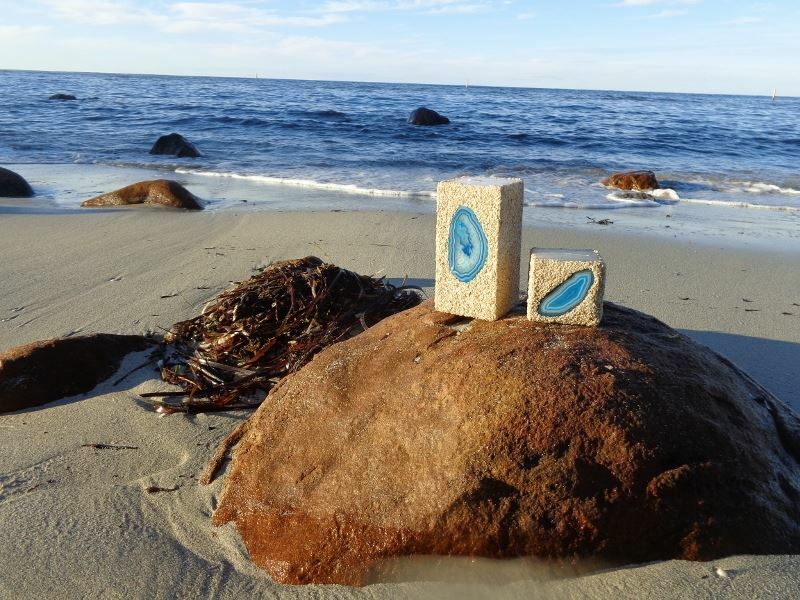 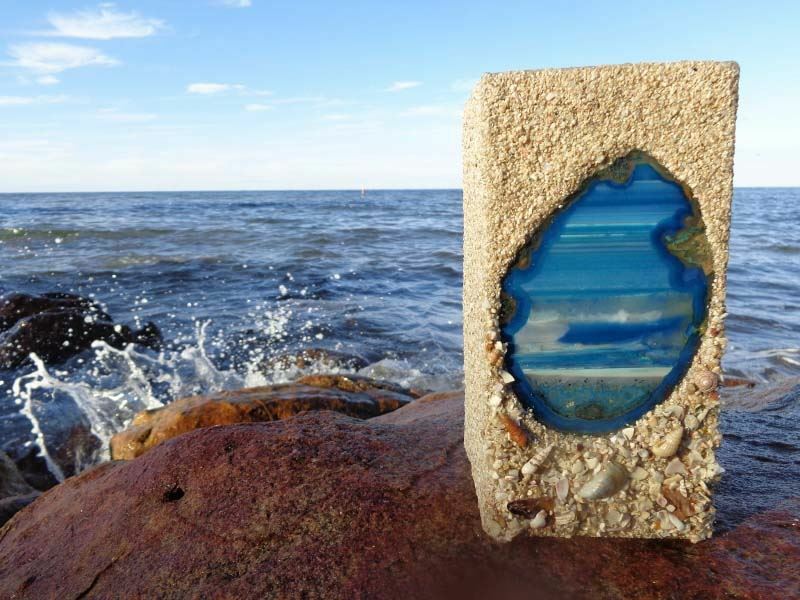 Coated in crushed shell beach sand from our beautiful Margaret River region, the candle walls will hold their shape as the wax burns away inside, turning your candle into a tea-light holder you can continue to use and enjoy for years to come.